“There is magic in the mere name, ‘Texas'” . . . I like it. I like that giddy Texas sportswriter journalism. Brad “Whitie” Ecklund was a center on that 1952 Texans team. He later went on to be an assistant coach (1960-65) under Tom Landy for the NFL’s Dallas Cowboys. 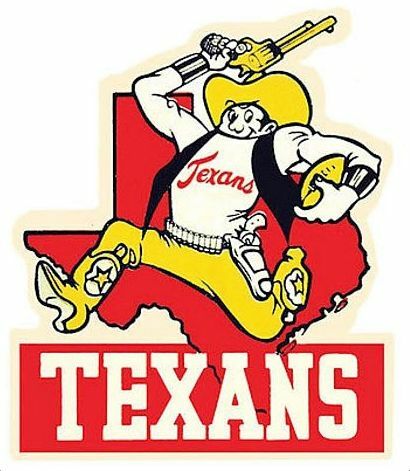 He is, as far as I know, the only person to have been affiliated with both the 1952 Texans and the 1960s Dallas Cowboys. 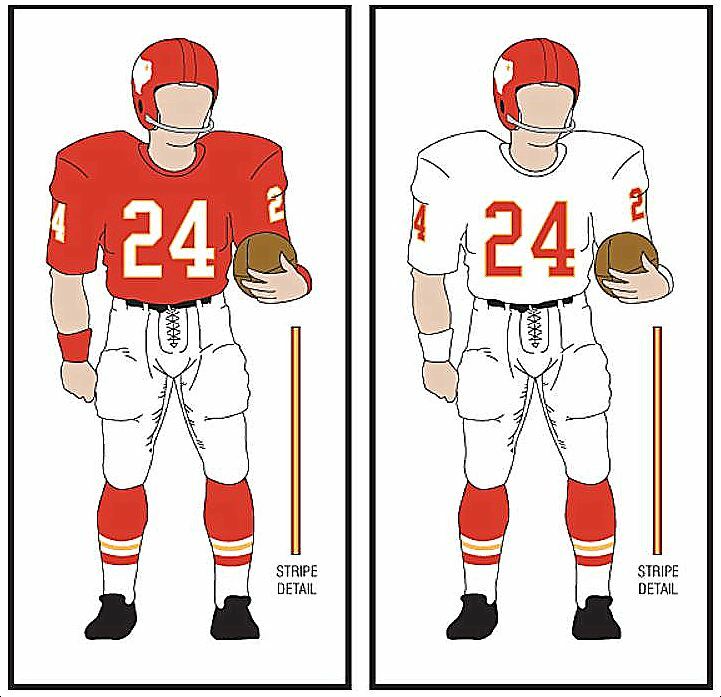 Paula, the Dallas Texans of 1952 may well have been the first professional football team in Texas. 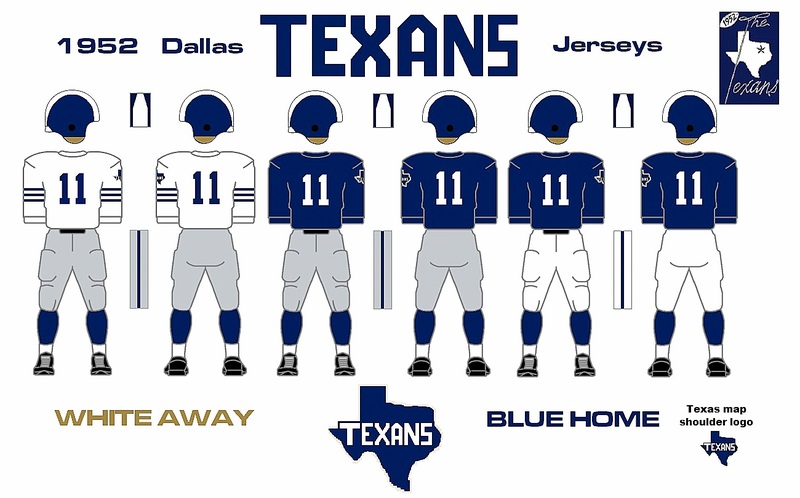 They definitely were not the first professional sports team in Texas. There had been minor league baseball teams in the state for decades. 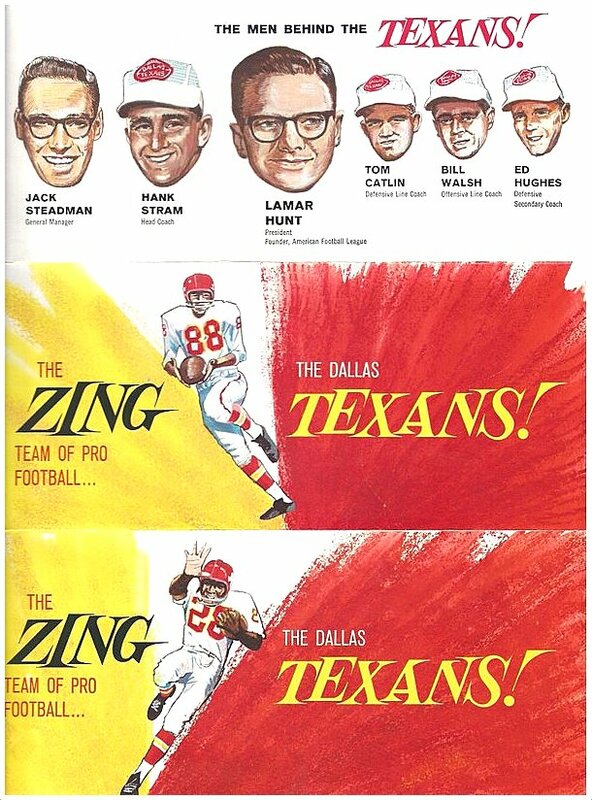 The team may have been the first major league sports team in Texas. Love that story about how Murchison got the Cowboys franchise.